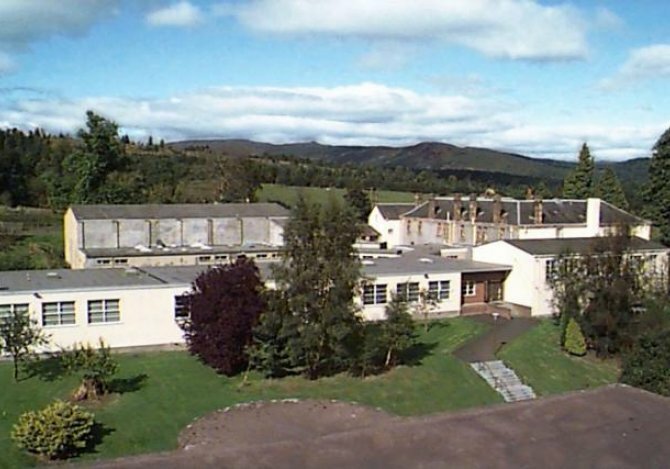 Gartmore House, near Stirling, Scotland, sleeps 10-220 in 52 bedrooms. 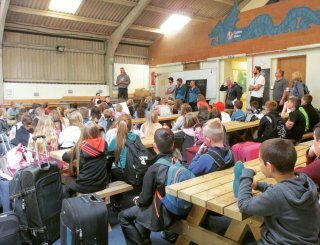 The Craigmore Centre at Gartmore House is the ideal venue for school groups ranging in size from 20 to 220 who are looking for somewhere that is accessible (we are within 1 hour of Glasgow, Edinburgh, Stirling & Perth), flexible, comfortable and affordable. The Centre is tailored made for school groups with a large conference hall and various break-out rooms. Set in 75 acres of private grounds, groups are entirely safe but at the same time within easy reaching distance of various locations offering a wide range of indoor and outdoor activities. 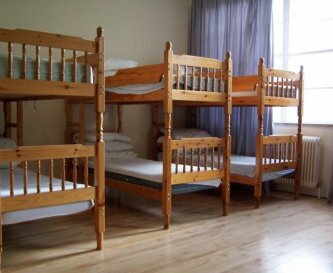 Accommodation is mainly bunk beds in 16 rooms of varying sizes which sleep from 2 to 10 people (maximum 100). 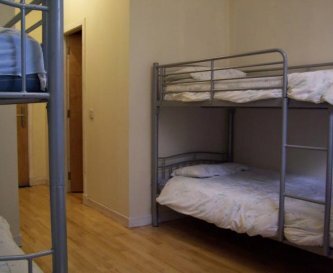 All these rooms are en suite. Access to each bedroom is controlled by an electronic security system. For groups in excess of 100, an additional 20+ individuals can be accommodated in 10 non en suite twin and triple bedrooms. 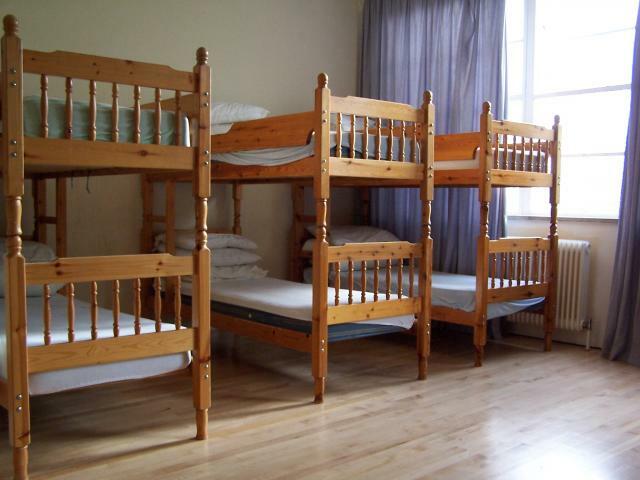 Groups up to 220 in number have use of the bedroom accommodation within the Mansion House. The Craigmore Centre has a large conference hall that can seat up to 200 people. This is an ideal venue for school orchestras. The Centre also has six breakout rooms/lounges, one of which is designated as a leaders/teachers lounge. Within the Centre there is a multi media computer suite with full IT capability. There is also a large multi purpose sports hall for football, basketball, badminton etc. There is disabled access throughout. The property is centrally heated throughout using our eco friendly biomass boiler. Groups come on a full board basis with access to tea/coffee making facilities throughout their stay. All meals are served in our 18th century Mansion House which sits just across from The Craigmore Centre. Groups come on a full board basis. We are happy to structure menus that reflect the preferences of each group. Special diets are fully catered for. All meals are served in our bright, comfortable,dining areas located in the Mansion House with panoramic views stretching 20 miles to Stirling Castle. 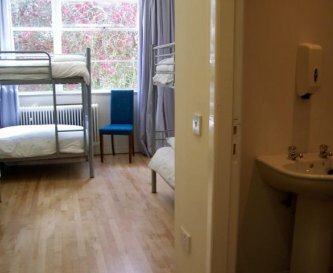 The Craigmore Centre has three sitting rooms of varying sizes. The Mansion House has a resident's lounge with a roaring log fire in the cooler months. Our policy is not to have TVs in bedrooms to help guests enjoy the opportunity to escape to peaceful surroundings. A TV is in the Residents lounge. Payphones available on site and free WiFi access within both the Mansion House and Craigmore Centre. A large indoor sports hall is available for use by guests for football, badminton, basketball. All areas are centrally heated by our eco-friendly biomass boiler; a welcoming log fire awaits guests in our resident's lounge. 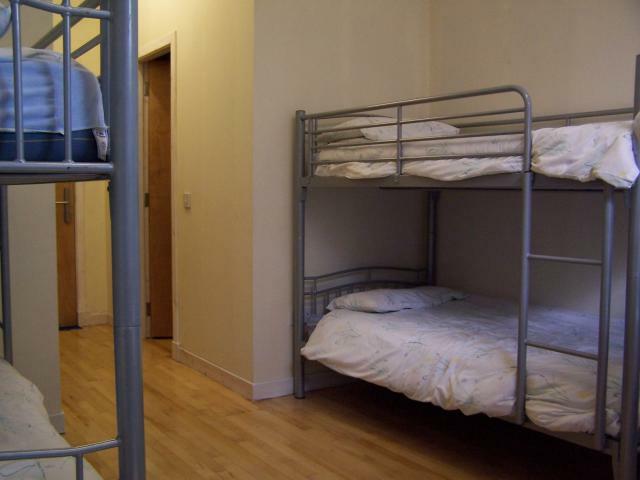 16 bedrooms in the Craigmore Centre in a combination of bunk and twin-bedded accommodation. (Rooms sleep from 2 to 10). 26 bedrooms in Mansion House. All bed linen is provided. Budget-priced packages are available where groups bring their own linen. 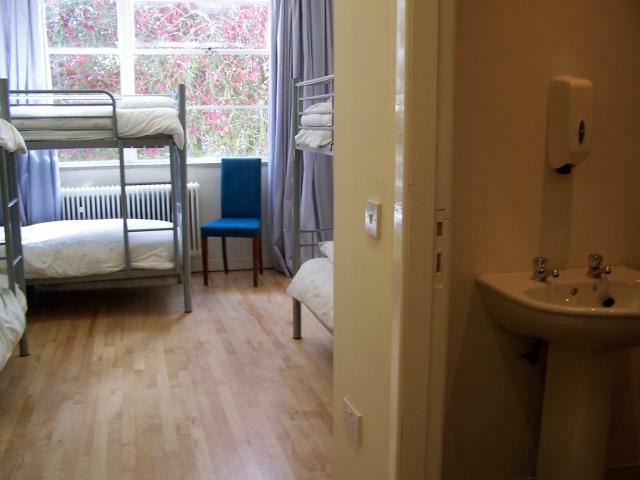 Most bedrooms, including those with bunk accommodation, are en suite. Full disabled facilities available in The Craigmore Centre; in the Mansion House there is one fully disabled room and a lift to all floors. There is a large multi-purpose sports hall in The Craigmore Centre. There is a games field together with acres of woodland walks within the grounds. Water sports, mountain biking and a high ropes courses are close by. Gartmore House has ample parking on-site for coaches, mini-buses and cars. Gartmore House is a non-smoking facility. 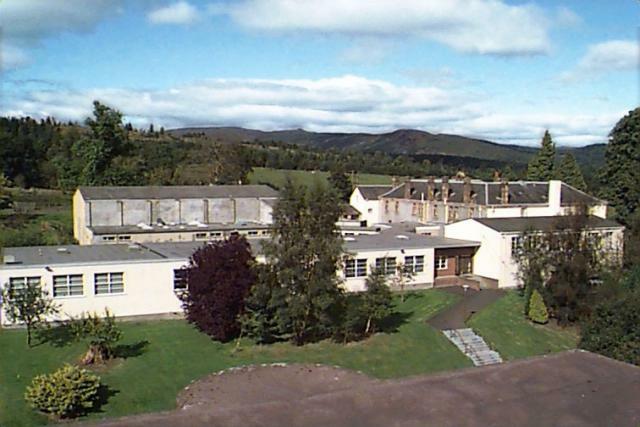 Pet are not allowed at Gartmore House but arrangements can be made with local kennels and catteries. 1 mile from Gartmore village, 2.5 miles from Aberfoyle. Gartmore shop, within the village, is just a 10 minute walk. Aberfoyle has a larger selection of shops. Gartmore village has one pub; Aberfoyle has several pubs and restaurants. The Craigmore Centre packages start from £45ppn on a 24 hour rate with all meals included. Discounts available for 5 nights or more. Main house rates start at £86ppn on a 24 hour rate with all meals included. Stirling railway station is 20 miles. Bus service to Gartmore village from Stirling and Glasgow. Glasgow international airport 50 minutes driving time from Gartmore House. Edinburgh airport is 60 minutes drive. The Craigmore Centre packages start from £37 per person per 24 hours (discounts for 5 nights+) with all meals and exclusive use of the centre including conference hall, break-out rooms & sports hall.